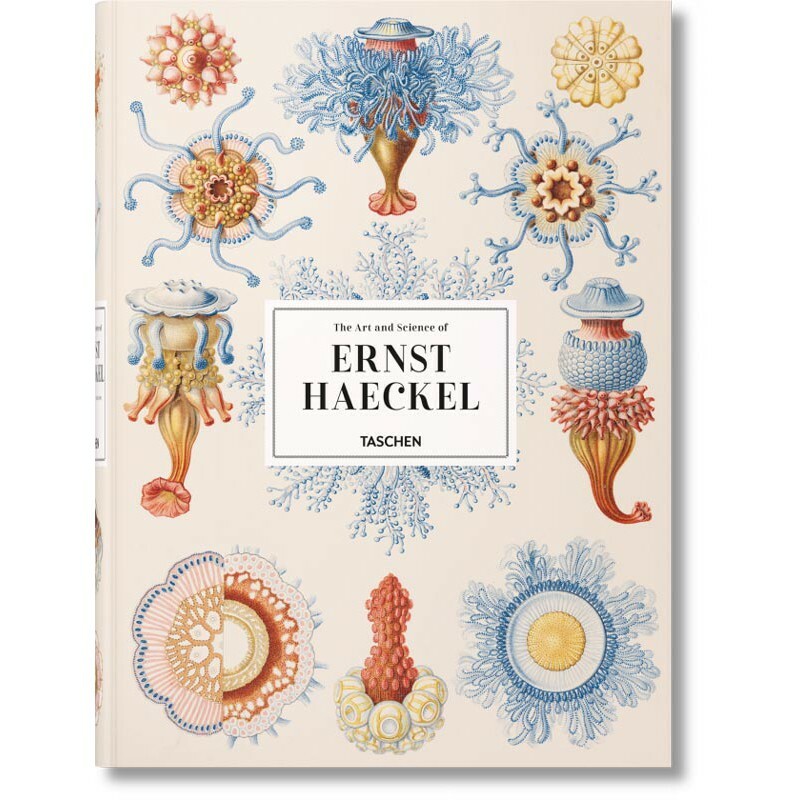 Haeckel’s colossal legacy has fascinated, confounded, and polarized generations. 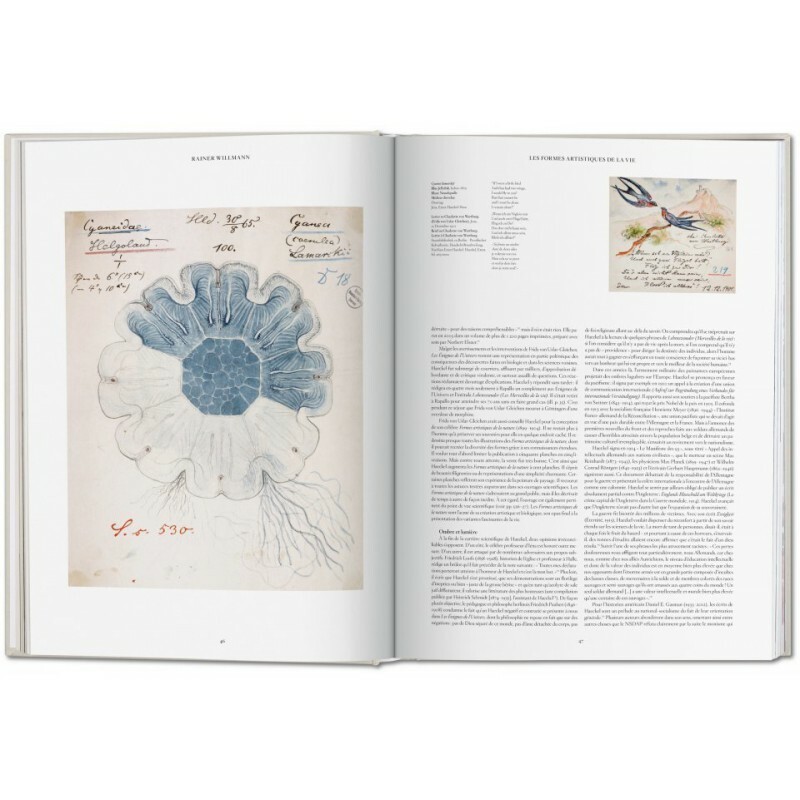 But what was at the heart of his extraordinary life’s work? 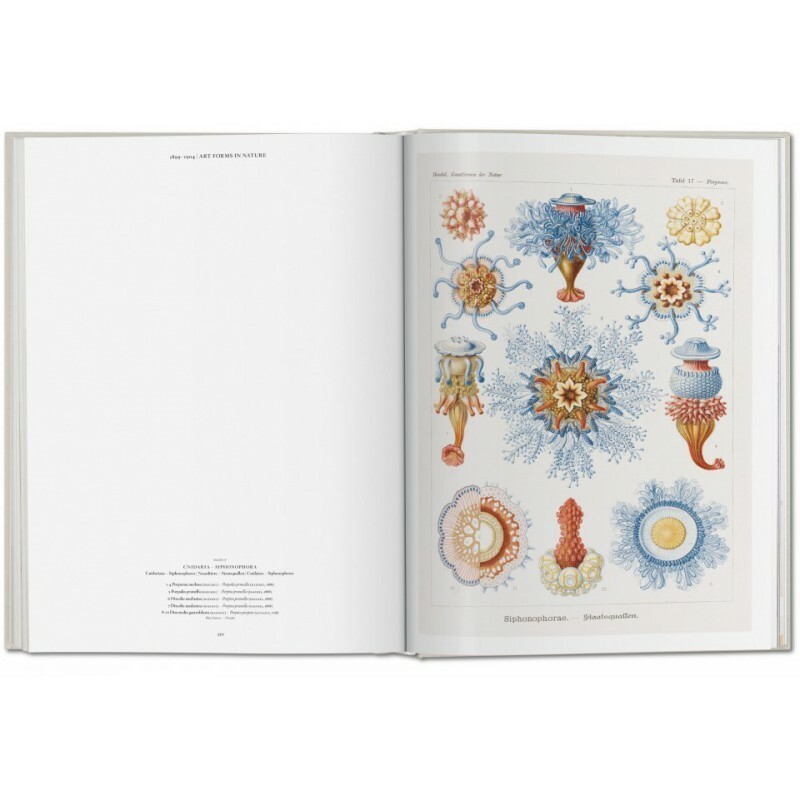 Rather like his intellectual forebear, Alexander von Humboldt, Haeckel was motivated not only to discover but also to explain. 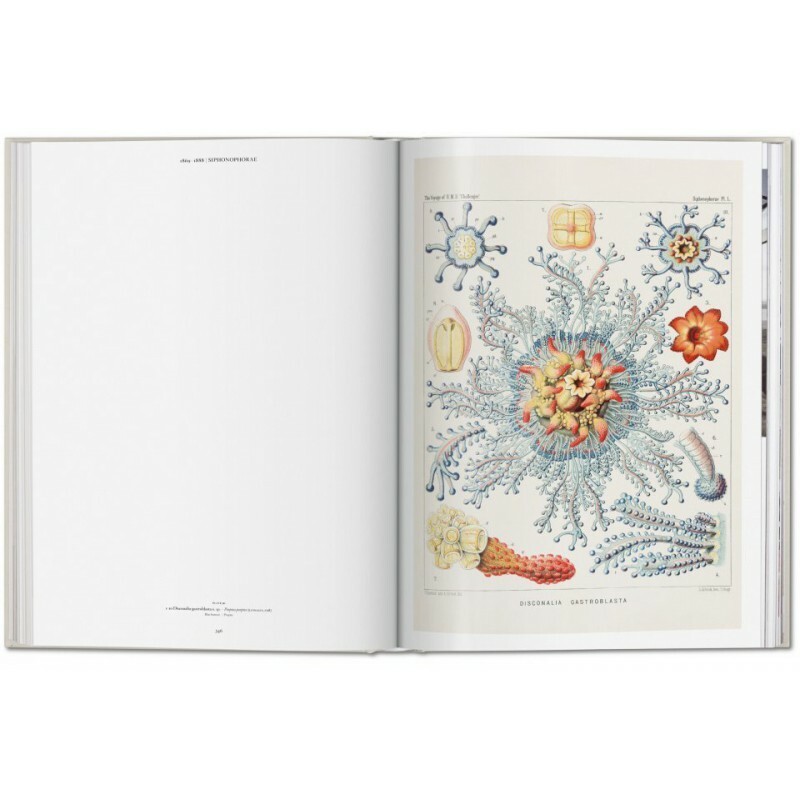 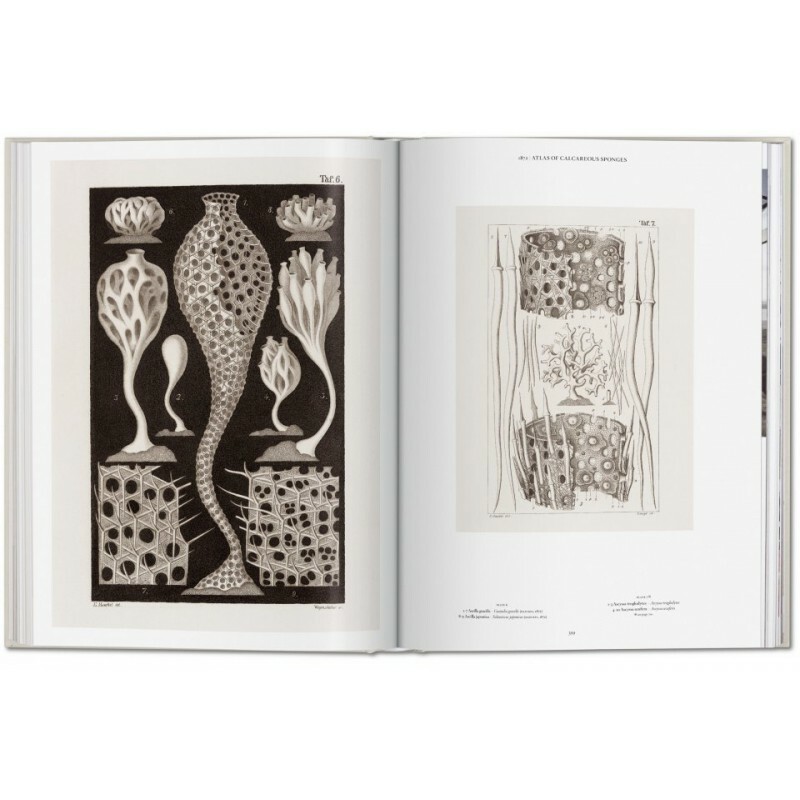 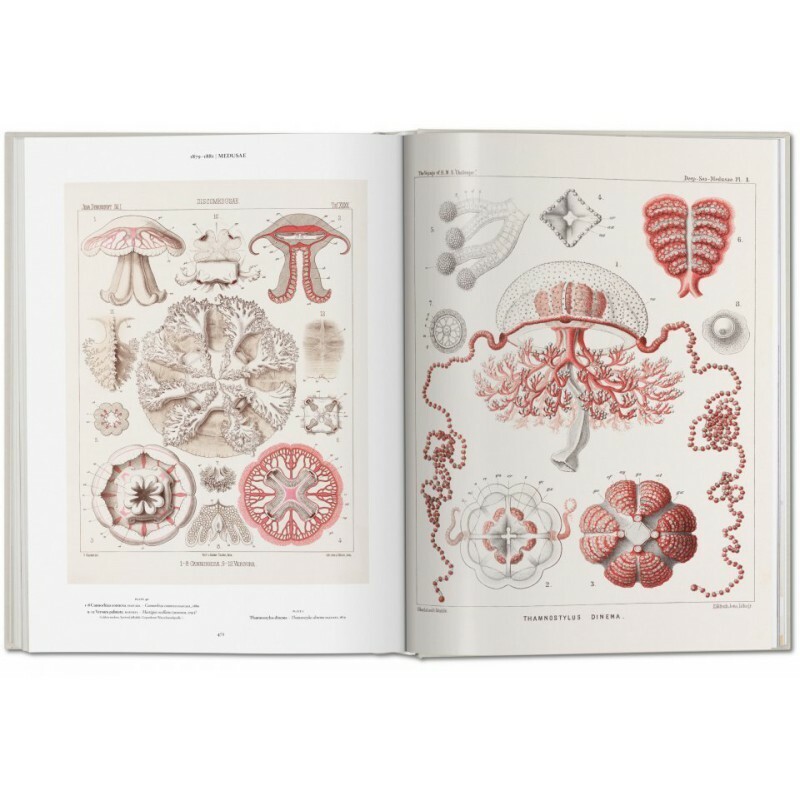 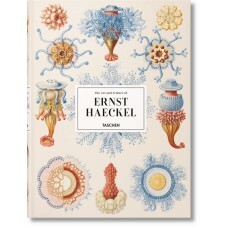 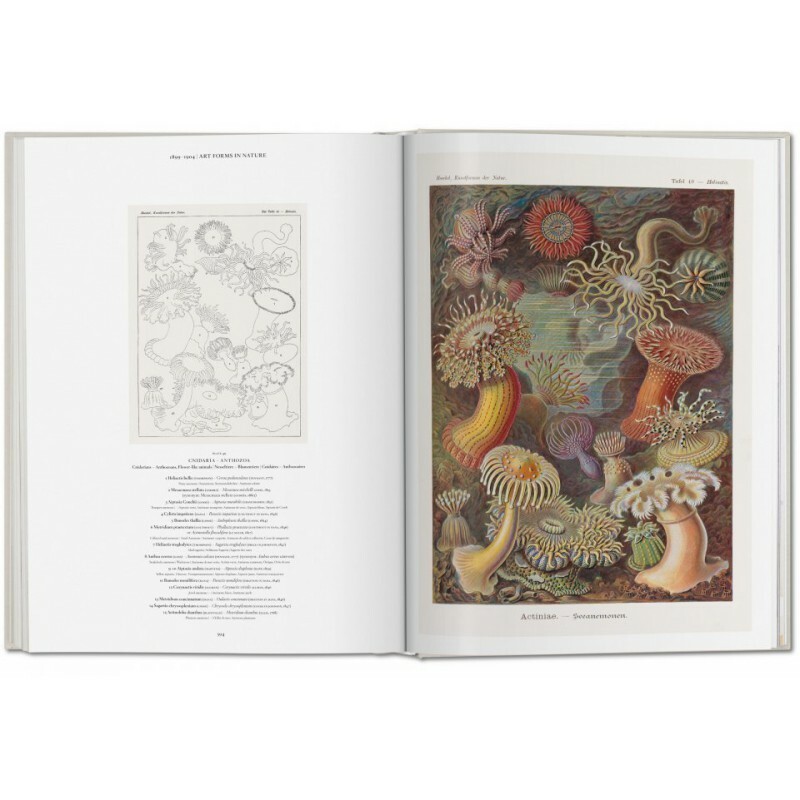 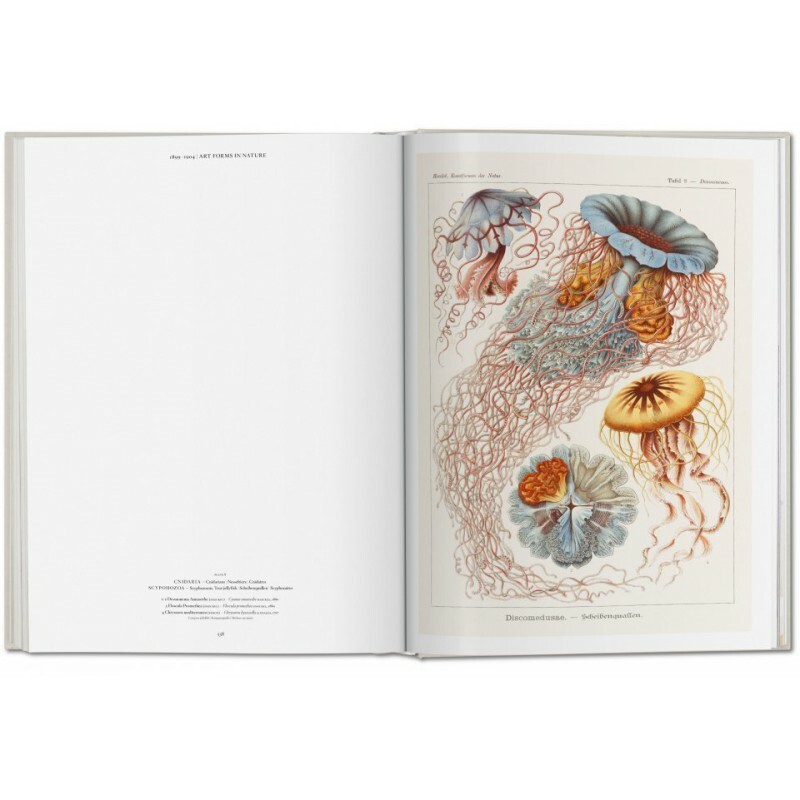 To do this, he created hundreds of detailed drawings, watercolors, and sketches of his findings which he published in successive volumes during the 20th century, including several marine organism collections and the majestic Kunstformen der Natur (Art Forms in Nature), which could serve as the cornerstone of Haeckel’s entire life project. 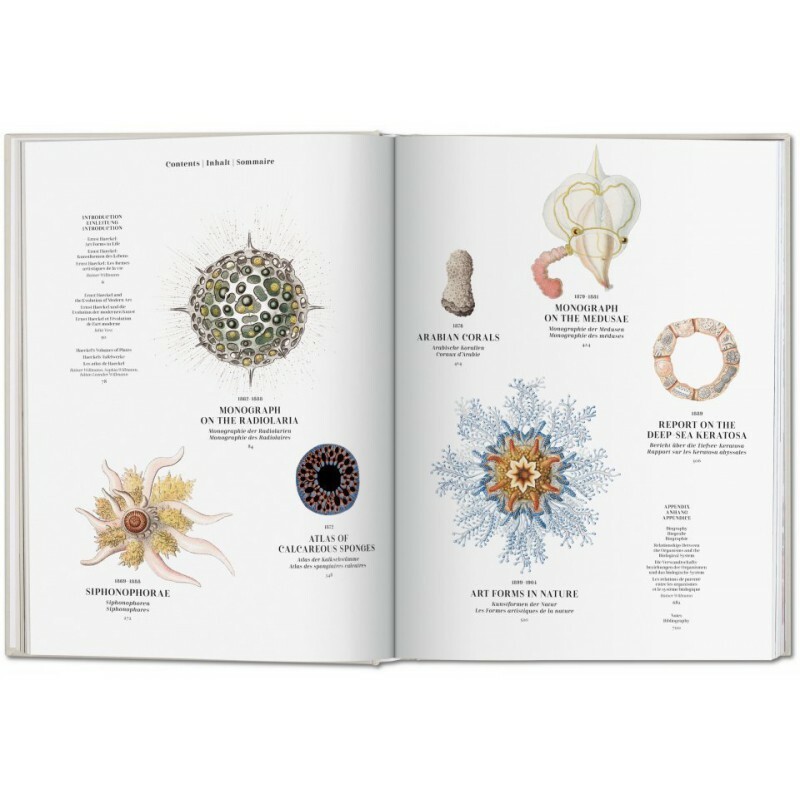 Like a meticulous visual encyclopedia of living things, Haeckel’s work was as remarkable for its graphic precision and meticulous shading as for its understanding of organic evolution and cellular development. 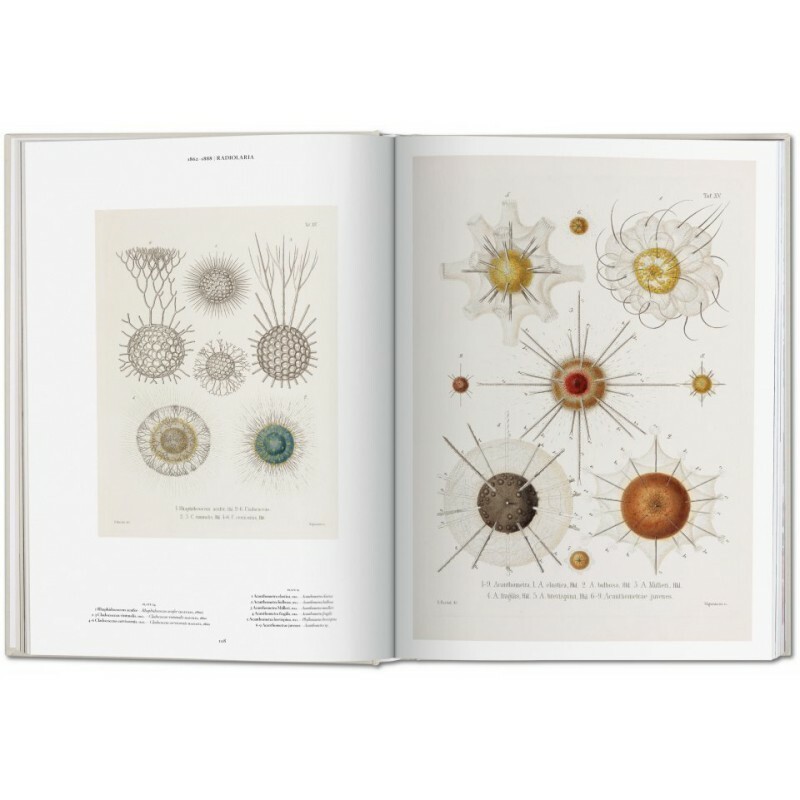 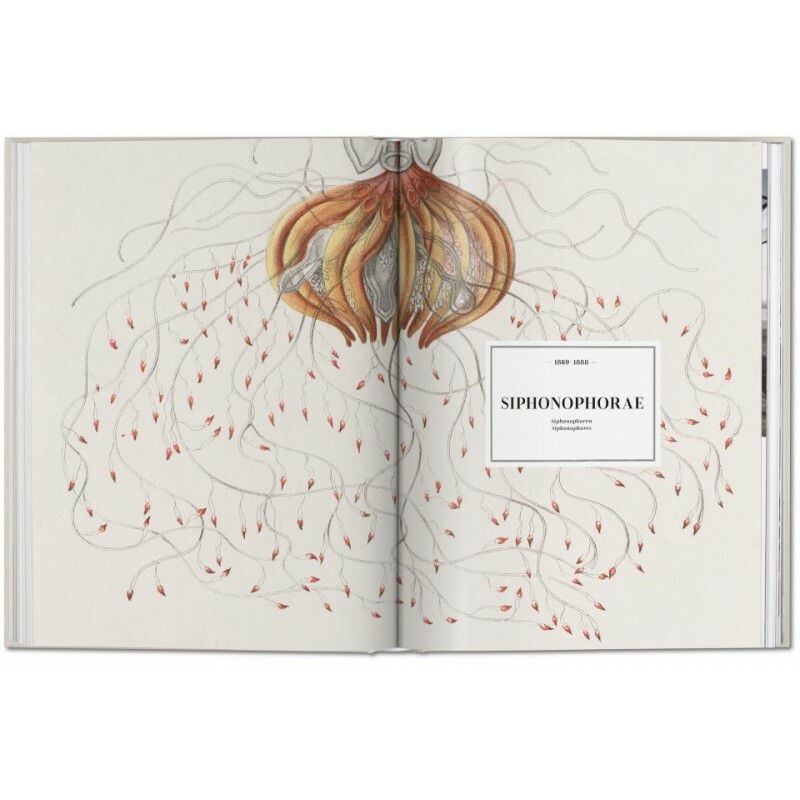 From bats to the box jellyfish, lizards to lichen, and spider legs to sea anemones, he emphasized the essential symmetries and order of nature, and found biological beauty in even the most unlikely of creatures. 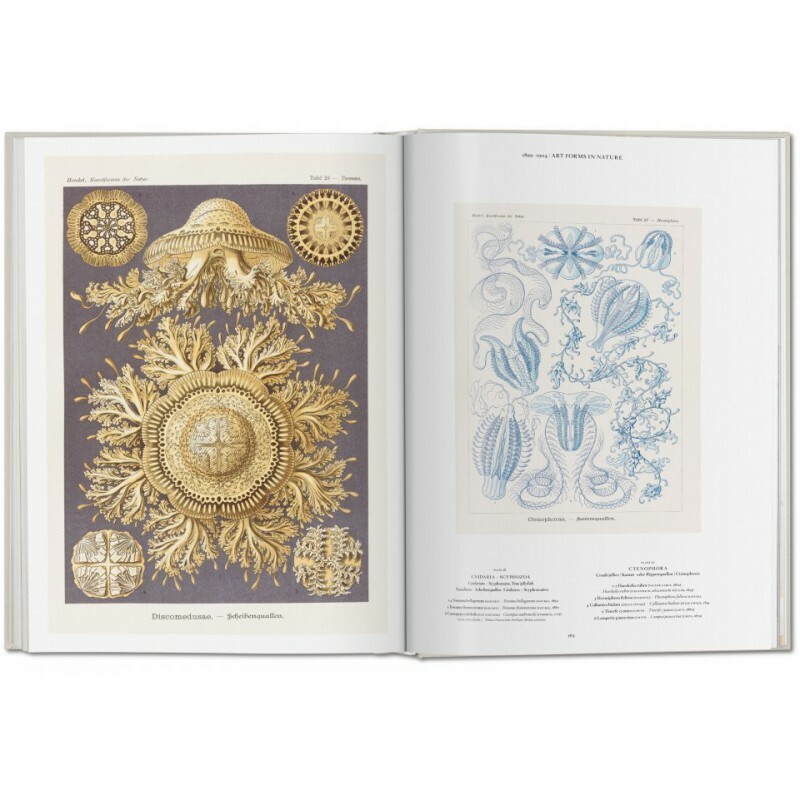 The prints not only furthered the study of natural history but also influenced generations of 20th-century artists and architects, from the emerging proponents of Art Nouveau to architects such as Hendrik Petrus Berlage, whose Amsterdam Commodities Exchange was inspired by Haeckel’s illustrations.